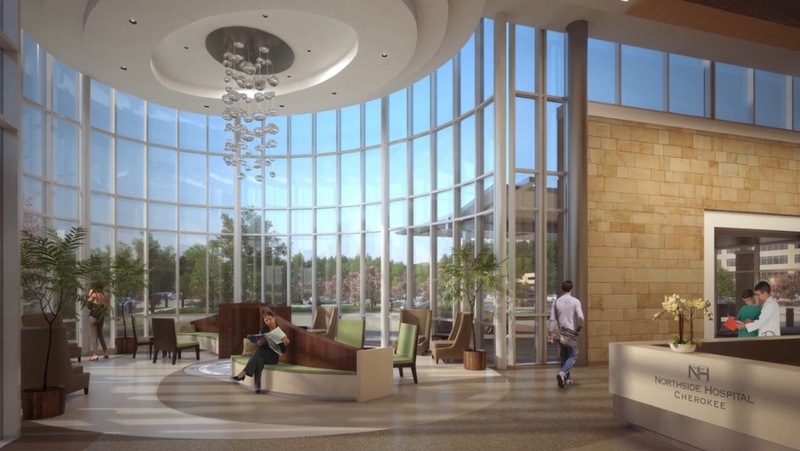 Starting in 2017, residents all across Cherokee County will have a brand new Northside Hospital-Cherokee facility. The current building, located on Hospital Road in Canton, will move to its new location just down the street once construction is completed and equipment is moved to the new facility in early 2017. The current hospital was built in 1962 as the R.T. Jones Memorial Hospital, and became Northside Hospital-Cherokee in 1997. Construction on the replacement hospital is set to wrap up in late 2016 and equipment is expected to be moved in early 2017, so residents can expect to start using the new facility in March 2017. The replacement hospital will service Canton, Woodstock, Holly Springs, Hickory Flat, Macedonia, Ball Ground, Waleska, and surrounding areas. Along with its new location just off Interstate 575 on Northside Cherokee Boulevard, the replacement hospital will also get some major upgrades. Chuck Williams, general superintendent in charge of the replacement hospital project, said the new hospital campus will offer patients the best in modern healthcare and have a great impact on the local economy. 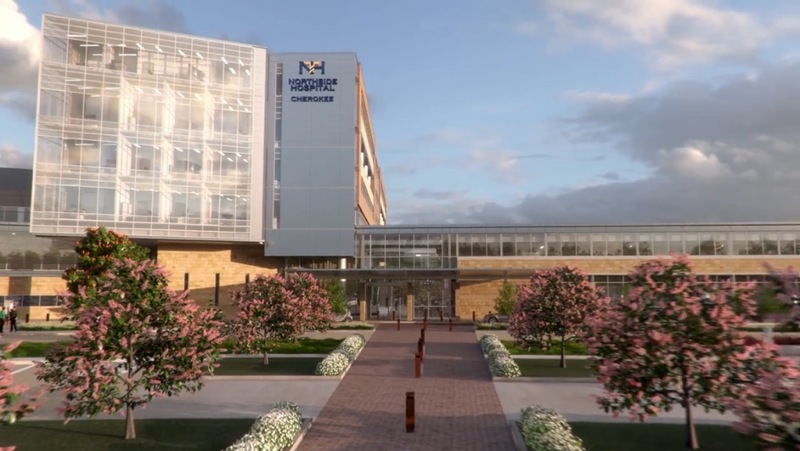 The new facility will include a cancer institute, surgical robotics, several newborn services including a neonatal unit, emergency services, round-the-clock stroke care, clinical trials, rehabilitation services, lab services, and much, much more. The new hospital will include all of the same services that are currently offered at the Canton location, officials said. The new hospital location will include the medical facility itself, along with a medical office building and 900 parking spaces. The campus will sit on a 50-acre plot, which is about two times the size of Centennial Olympic Park, hospital officials said. To build the new facility, officials with Northside Hospital-Cherokee said the construction calls for 10,000 light bulbs, 700,000 cubic feet of concrete, 508 tons of steel, and 952 miles of cable. When the old hospital facility opened in the 60s, it housed just 62 rooms and employed 17 physicians, according to local papers. In 1997, Northside Hospital-Cherokee recorded 100 physicians. With completion of the new building, about 300 new jobs are expected to be generated, officials said. The address of the new hospital facility set to open in 2017 will be 450 Northside Cherokee Boulevard, Canton, GA 30115.